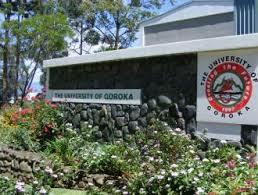 The University of Goroka has issued termination letters to more than 400 students early this week. Majority of the students who received their termination notices were those that took part in a student protest in May this year. Student spokesman, Nelson Molo who also received his termination letter on Sunday, told NBC News the number is expected to rise as the Council is using a video footage taken during the protest to identify students. Mr Molo says the University Council's decision to terminate students is in breach of the government's decision on their petition to resolve the matter amicably between students and the University Council. "Majority of students, ol kros na belhat stap. "Ol itok olsem, nogat fair hearing lo ol issues blo mipla we igo before lo government na government turned a blind eye on us and ol no putim iau lo harim hevi blo sumatin na ol sumatin pilim olsem, the management nao em wok long retaliate lo displa strike ia. "Na government is not doing anything so belhat blo ol istap. "Mi ting olsem em bai stap iet, ol bai karim go na they might resort to something that's not good for university," Mr. Molo said. 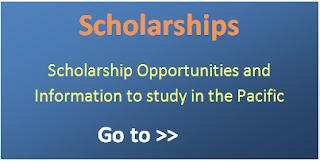 Meanwhile, more than 90 students at the U-O-G have been excluded from their studies this year. Vice Chancellor Dr Gairo Unagi says in a statement that the students were excluded on academic grounds but are currently appealing to the University's Council to be reconsidered for studies.